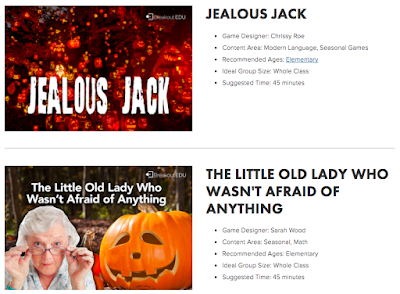 The Library Voice: 9 BreakoutEDU's for Halloween Added To The Collections! 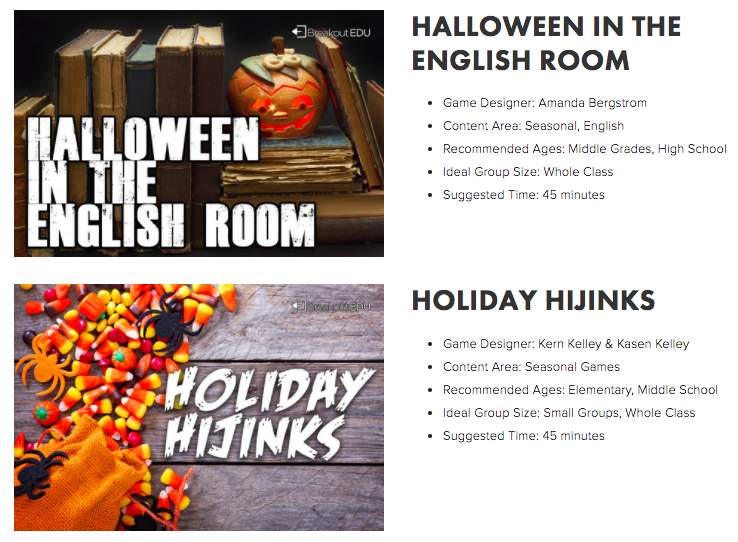 9 BreakoutEDU's for Halloween Added To The Collections! 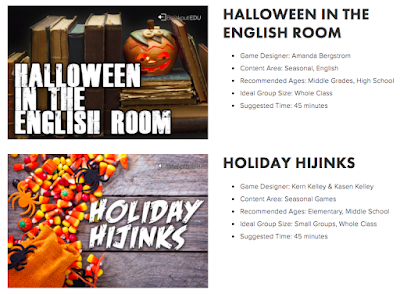 Halloween For Librarians and Teachers Collection by Destiny that I created this week. 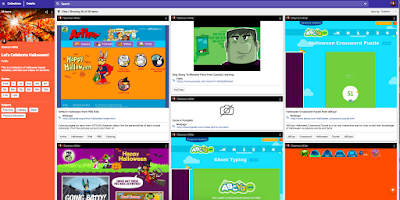 It is filled with amazing books, songs, resources, site and more for bringing Halloween to your school community too. 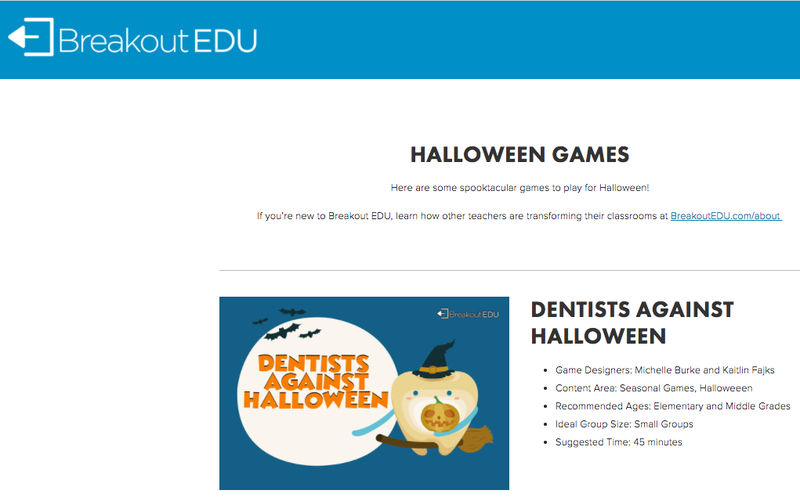 Now there are also 9 Halloween BreakoutEDU's there too! You will find all of these Halloween BreakoutEDU's here. 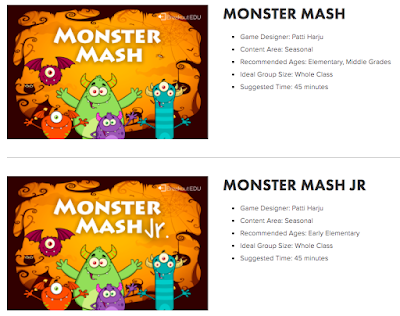 this one....Let's Celebrate Halloween Collection with your students too! Play The Future Ready Librarian Buncee Doodle! 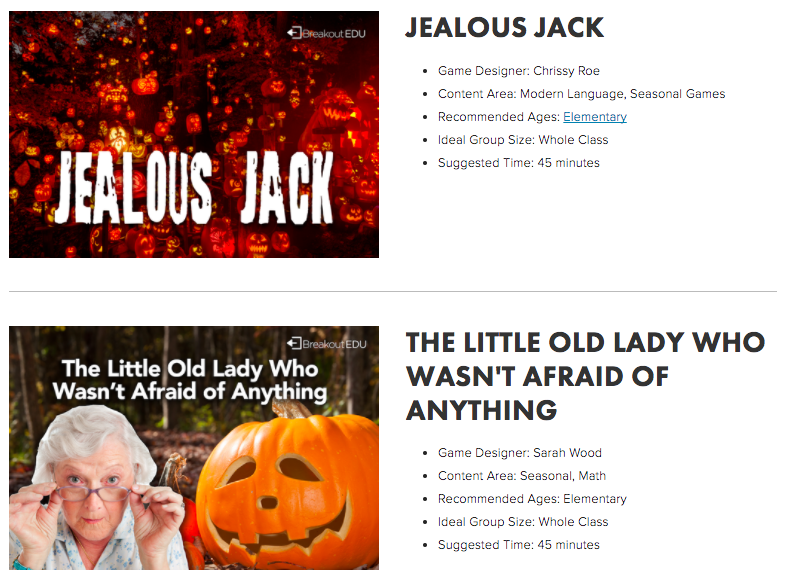 7 Halloween Activities From Storyboard That! 10 Creative Ways To Use PebbleGo!